The color scheme in the design of the cafe can be very different. The most important thing is to observe the harmony of the combination of shades. Practice has shown that the natural, warm and calm tones that create a comfortable, calm atmosphere work best. 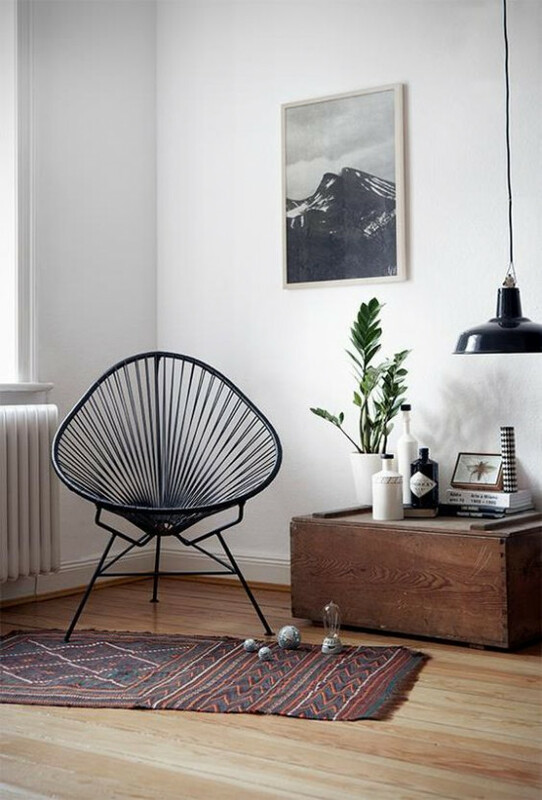 Preferring dark or light interiors, it is necessary to take into account not only our own preferences, but also the size of the room, because we all know that light colors visually expand the space, and dark ones, on the contrary, narrow its borders. The furniture in the cafe should not be made of plastic – it is ugly and cheap. Also not welcome leatherette and nickel. 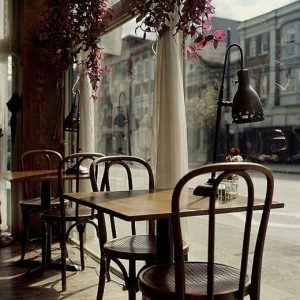 Wooden furniture with textile elements always looks good, and chairs for restaurants and cafes should always be made of hygroscopic, pleasant to the touch materials. Try to arrange the interior of the cafe in such a way that there are different landing zones: chairs, armchairs and sofas. Lighting in the interior of the cafe also plays one of the dominant roles. Experts in this matter strongly oppose all kinds of cold light bulbs, for example, neon, halogen, fluorescent lamps and, especially, dyrolight. It is possible to create a pleasant for the eye and a comfortable atmosphere as a whole, only if you use warm light, that is, incandescent lamps. It is also possible to make the interior of the café cozy thanks to various original chandeliers, wall lamps, floor lamps and table lamps – this gives the place almost tangible warmth. In some cases, the most relevant option for lighting can be candles – this is the living embodiment of a romantic mood. Wall decoration in any institution undoubtedly attracts attention. Therefore, it is very important that she had a decent look. According to experts, plasterboard walls in cafes create an unfavorable feeling of cheapness and unreliability. But brick walls are always in favor. Brick wall decoration can be very diverse: from decorative plaster to traditional wallpaper, which create a special, home, comfort. Also very nobly looked draped with textiles or leather walls. The flooring should not cause a feeling of “home renovation”, so it is desirable to avoid here materials such as linoleum, granite or laminate. The most winning option – natural wood or parquet. These noble and durable materials will surely help to make the cafe cozy. Often on the floor in various places you can see ceramic tiles or stone – this can also be called a good solution. Music in the cafe is a must. Moreover, it is desirable that it changed throughout the day. Often in good places in the evening playing live music. It is important to remember that even if the music plays softly – it still sets the general mood. By the way, there should be no TVs in a cafe (if it’s certainly not a cafe for football fans, where matches are regularly shown). Because if you want to make the cafe cozy, people should enjoy communicating with each other, and not be distracted by the TV set in the most prominent place.